Become More: Italy and beyond: Fun Resources for Learning Italian! Winter is a great time for learning, and another activity I've been indulging in is improving my Italian. As time goes on, there are more and more fun ways to learn Italian, regardless of the learning level you desire. 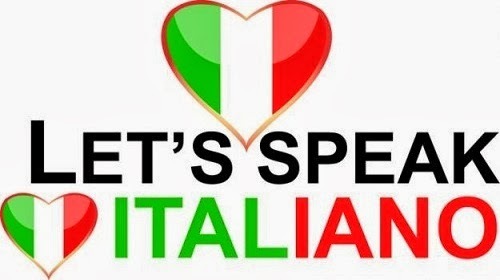 And there's no need to be in Italy to learn it! My all time favorite way to learn Italian is talking with Italian friends on Skype. I've been doing this since 2006 through a language exchange website called My Language Exchange. The site matches you up with native speakers who want to learn your language. I've made many friends this way, and talk with 4-6 of them on Skype every week, for an hour each time. Over the years of our sharing, we've become good friends, and I visit them when I'm in Italy. I have Italian friends in Trento, Padova, Bologna, Modena, Grottammare, Parma, Rome and Salerno that have become like my extended family. Lately, I've come across several new FREE language learning websites that I've been enjoying, and each has something fun and interesting to offer. So, settle in and check some of these sites out. You'll have fun while you're learning!